Bella's Lawn & Landscape is a Toledo Landscape Contractor providing full-service residential and commercial landscaping services. We are located in Toledo and extend our services to Maumee, Perrysburg, Monclova, Sylvania, Holland, and everywhere in between. Bella's Lawn & Landscape is committed to building lasting client relationships based on reliability, communication, and results. Our team of landscaping professionals consists of degreed horticulturists who are dedicated to customer service and striking landscape solutions. Regardless of what landscaping or lawn service you require, you can trust Bella's Lawn & Landscape to expertly complete the project on schedule. 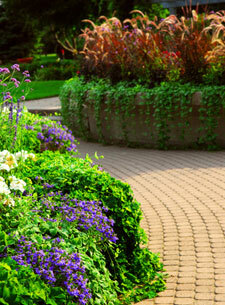 Call 419-536-9003 or click for exceptional Toledo Landscapers. We provide Landscaping and Lawn Maintenance Services for Toledo, Maumee, Perrysburg, Monclova, Sylvania, & Holland, Ohio, and all surrounding areas.